Day trading involves the buying and selling of an asset within the space of one trading day. For day-traders, all positions will be closed – whether a few or several hundred – by the end of the day. The actual phenomenon is relatively new, most probably dating back to the early 1970s when the creation of the National Association of Securities Dealers Automated Quotation System (NASDAQ) electronic communications network (ECN) first enabled the direct trading of financial products outside the then-traditional stock exchange. The 1990’s dot-com bubble helped fuel the industry, especially with the emerging dominance of personal computers and their facilitating direct access through the first online trading companies; by 1999, the number of retail online investors was estimated at about 5 million. 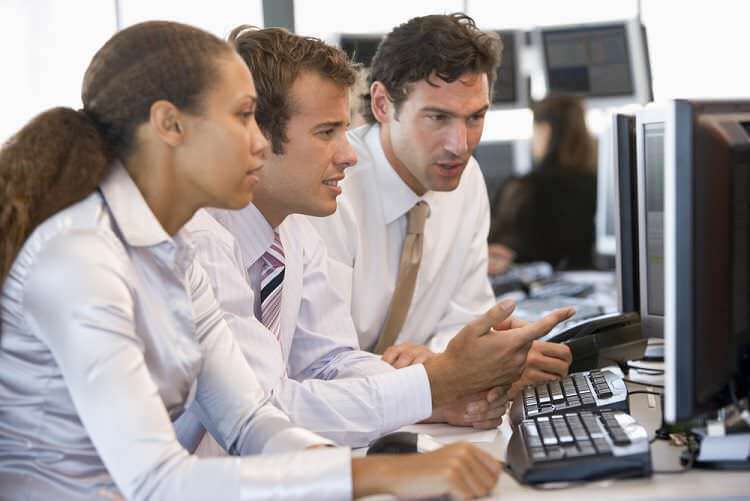 However, the dot-com market crash and the economic meltdown of 2008 have resulted in various regulatory steps that have helped generate a more professional day-trader and a more informed online investor. As we advance towards the century’s second decade, about 10% of the $5 trillion-a-day forex market is ascribed to spot retail traders. This is most probably a result of high margin requirements in stocks and easily manipulated commodities markets. Forex offers much higher leverage than most investment channels, and its trading volume makes market manipulation more challenging. Day trading definitions are mainly based upon the individual rather than the technique. Generally speaking, day traders are deemed speculators, rather than long-term investors. They may be either institutional – working for a financial institution, such as an investment bank – or retail – working for themselves or a limited consortium of like-minded investors. The main difference is that retail investors trade with their own capital or their partners’. The main objective is to profit from small price movements, specifically liquid stocks and indices, especially the more volatile ones – regardless of long-term trend. To succeed requires market knowledge, strategic thinking, a state-of-the-art platform and the self-discipline of a Tibetan monk. Alvexo provides its clients with free access to the award-winning MetaTrader 4 trading platform, which includes all the tools a trader needs to open almost any kind of market position. It has also developed (and continues to bolster) a comprehensive trading academy (including this one on day trading forex strategies), plus a set of market reviews and analysis comparable to none other in the forex industry. Self-discipline being a trait whose development lies well beyond the scope of our activities (except, perhaps, as an excellent training ground), here are a few day trading tips to help you develop your strategies, based on some basic concepts and strategic examples. First of all, practice patience. Before you begin trading, follow the news and watch the charts. Learn to predict what announcements influence what components, how trends form and how they break. Most patterns are called that because they repeat themselves. Learn where to seek and how to spot them. And learn to leave your emotions behind – gut reactions have no place near the wallet and they can cause you to behave erratically, departing from a well-prepared strategy long before or after you should. o prevent a margin call and the early closure of a position just as it turns from loss to profit, always make sure you have sufficient funds. Therefore, avoid risking more than 5% of your equity on a single trade (if you have $10,000 – nothing over $500). Calculate the risk level you are prepared to take and place your entry price and limit orders accordingly. Generally speaking, there is quite a difference between day trading and regular trading – apart from the attention you will be paying to the charts and the swiftness of response. To begin with, select a technique and focus on it, rather than attempting at first to blend approaches. The most elementary form of monitoring the market involves keeping track of those real-world incidents (breaking news, regularly scheduled economic announcements and everything in between) that influence or determine the asset we wish to trade on. 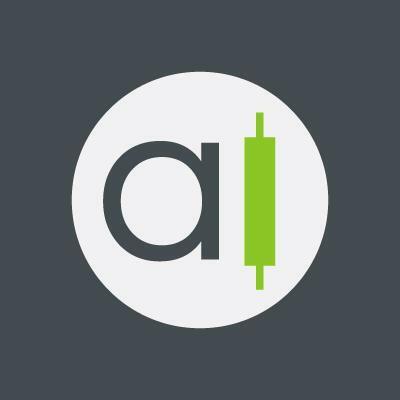 Technical in nature, focus on a specific asset and learn to determine the levels at which the market (the active mass of traders) considers it over-bought or under-sold. The technique involves a form of hedging of two assets within a specific category – short the weak (one that is dropping or at least trading generally sideways at a low value) and go long the sturdy. Trading against the market – not for beginners!! A position should be entered into at a point you determine beforehand, based on specific parameters that you define through research and market observation. It should be exited at a point religiously and rigorously determined, as well. Don’t let your emotions get the best of you, and don’t move your limit orders based on a momentary whim. Select an asset: the ideal one will be both liquid (enables easy entry and exit) and volatile (greater potential for profit and loss). Open the asset’s chart and zoom in to 1-to-5 minute resolution. Look for previous trending moves that translated into potential profit (i.e. were greater than the spread). One example is a spike in trading volume confirmed by previous support at that level. Look for prior occurrences that could be read as having signalled the move, patterns that conform to accepted definitions (triangle, head & shoulders, …) or real-world events. Once you generate a rule, see if it applies to other such occurrences for that asset. Then carefully select your entry point once you have identified your pattern. If using technical indicators, you will need to decide if you will wait for an asset to cross the line or before – i.e. how close to the shift can you afford to go. Some traders might say that exits are too important to be left to investors, and that’s why we automate them. In general, when trading, you should never open a position without defining your exit strategy vis a vis stop-loss and take-profit pending orders. Obviously, you can assess your profit target conservatively (by selecting a level often crossed) or radically. Equally if not more importantly, determine the level at which you are not prepared to take more losses – even if there is a slight chance of the market reversing into profit the next moment. Determine these based on volatility, your risk level and the pattern perceived. Either way, your profit/loss ratio should allow for more potential profit than potential loss. You may want to set two stop loss orders – one based on your risk level and the other closer to where you believe a trend will turn. There are several techniques for determining your exit point. Scalping is the most prevalent. It involves selling immediately upon the position becoming profitable – regardless of price. Fading is based on the assumption that a rapid movement in one direction will be followed by a correction in the other thanks to either profit-taking or fear. Simply short the asset after an upward movement or vice versa, and set your exit point where you expect the market to reverse. Daily Pivots are based on average daily highs and lows. Simply enter at one and exit at the other, taking into account long-term trends thereof. Momentum This technique is perhaps the only one that can be based on fundamental analysis, although trends can often be discerned using technical analysis alone. It is best applied to high-volume assets and involves waiting for the trigger (a news event, a public announcement…) and riding the resulting trend until it shows signs of weakening. Once you have determined your risk-level and set upon a selection technique for choosing an asset and another for determining your entry and exit points, test your strategy! Apply it using a demo account as many times as possible (some say as little as 50 positions over a 2-month period) without straying from any of your decisive components. Then determine whether your strategy has been profitable or not. Anything over 30% success is acceptable. Still – as with everything else – proceed with caution and be prepared for surprises. Your final test will not be how often you are surprised (surprises are, after all, what make financial markets dynamic and exciting) but how well you cope with these and how well your strategy deals with them.